This lockable, sturdy and durable dispenser enables storage of up to three standard toilet rolls with a ’top up’ refill facility ensuring a constant supply of paper. Reserve rolls are held out of contact with freely rotatable roll in use and may be brought into position for use by simply pushing into place with your fingers when the previous roll is spent. 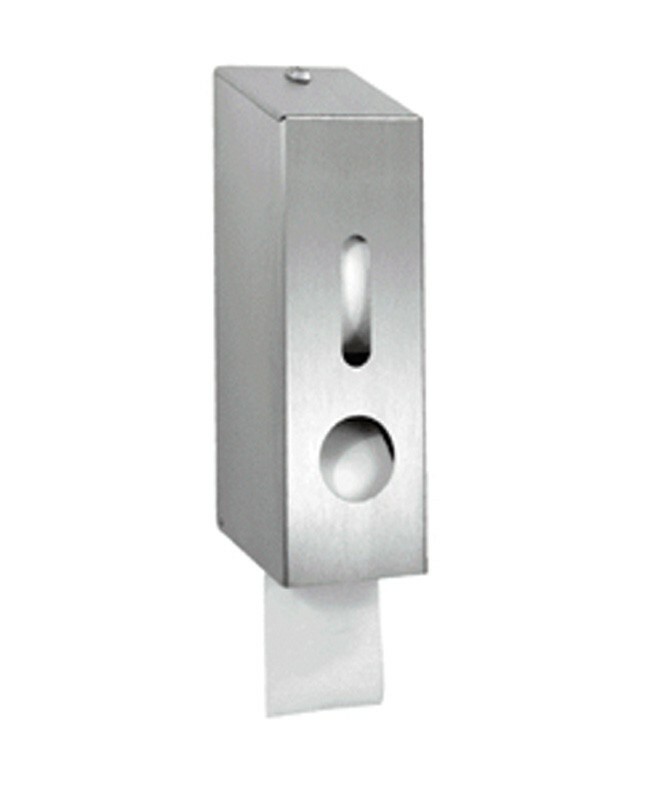 Stainless steel dispensers are pleasing on the eye and ensure there is no rust in the washroom. 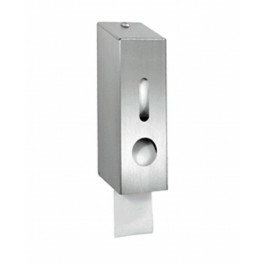 Ideal for use in executive or prestigious washrooms. Width - 12.5cm Depth - 12.6cm Height - 39.9cm. Stylish, modern, stainless steel design. Polished stainless steel with white backplate. Top up refill in use facility ensuring constant supply of paper. Recommended installation height 75cm from floor. Reserve rolls are held out of contact within the body of the dispenser, when the current roll is fully used, the core may be removed and a replacement roll may be brought into position for use by simply pushing into place with the fingers.